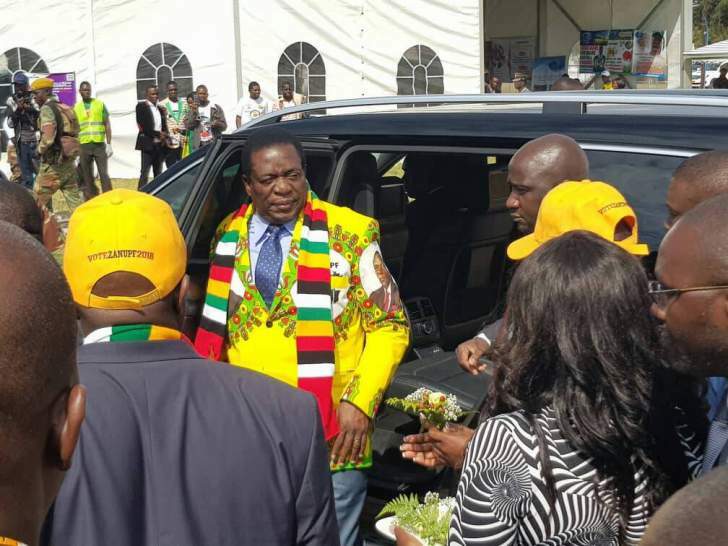 PRESIDENT Mnangagwa heads to Mashonaland Central province tomorrow where he is expected to tour Eureka Gold Mine in Guruve and lay a foundation rock for a multi-purpose sports centre to be built at Bindura University of Science Education. The Head of State and Government will wind up his programme with a star rally at Chipadze Stadium. Zanu-PF Mashonaland Central provincial chairperson, who is also Youth, Sport, Arts and Recreation Minister, Raymond Kazembe, confirmed the development yesterday. "The President will be in the province to lay a foundation for a national sports academy to be built in Bindura, the first of its kind in Zimbabwe," he said. "Before that the President will first visit Eureka Mine in Guruve to assess the situation there. The mine, which is the largest employer in Guruve has not been fully operating for quite some time and the President is coming there to give new impetus to the mine for the benefit of the people. This is a welcome development as it will create employment for our people. The President was in Guruve recently and he is coming back again and to us as a province, we value this." President Mnangagwa visited Siyalima, Guruve recently where he commissioned an A1 resettlement model structure. Kazembe said works on the multi-purpose sporting facility were underway. "The clearing of the ground is underway and the centre will go a long way in developing sports," he said. "It will be used to identify talent. Zimbabweans will have an option of enrolling at the national sports academy. The people who are most influential and wealth in this world are athletes and this facility will assist us in developing our athletes. The move is in line with our national policy so we are working with universities and other institutions." Kazembe said President Mnangagwa would have an opportunity to address Zanu-PF supporters in the province. "There will be a rally and we have seen it fit that the President meets his people in the province," he said. "It is elections time and it is ideal for people to hear the wise counsel from the party's leadership. We are ready to host him and mobilisation is underway in various districts."